Back in May,The Decemberists played their first live show together in almost 3 years where they cryptically revealed two new songs. Back in October, Colin Meloy was caught in Brooklyn busking some new material in front of a freshly painted mural officially announced the band's seventh studio album What A Terrible World, What A Beautiful World. Yesterday, the band released the official lyric video for "Lake Song" (originally teased at May's Boston Calling). 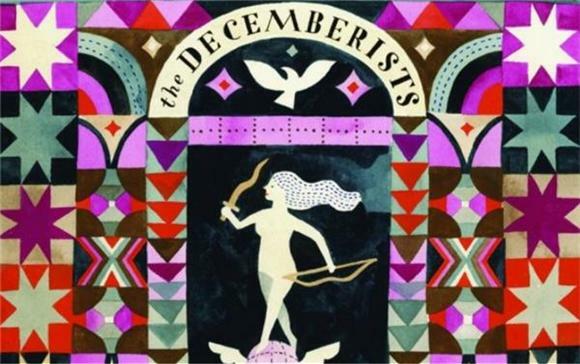 The 6-minute track is as lovely as the usually pensive poetry The Decemberists are known to wade in. This beautiful line stands out in a moment of sonic uplift, before a nostalgic exhale: "And I, seventeen and terminally fey / I wrote it down and threw it all away / Never gave a thought to what I'd paid / And you, all sibylline, reclining in your pew / You tattered me, you tethered me to you / The things you would, and things you wouldn't do / To tell the truth I never had a clue."